The Good Place is a new comedy series starring Kristen Bell and Ted Danson. Created by Michael Schur (The Office, Parks and Recreation, Brooklyn Nine-Nine), the series starts with Kristen's character Eleanor waking up in the afterlife, discovering that she had done enough good deeds in her life to be let into "the good place". In Canada, the series airs on Global. As with many other series that air on Global, episodes can be streamed online for free for 7 days after broadcast. 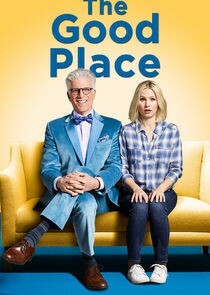 Watch episodes of The Good Place online for free on Globaltv.com.